Classic glamor and timeless beauty are always in style. 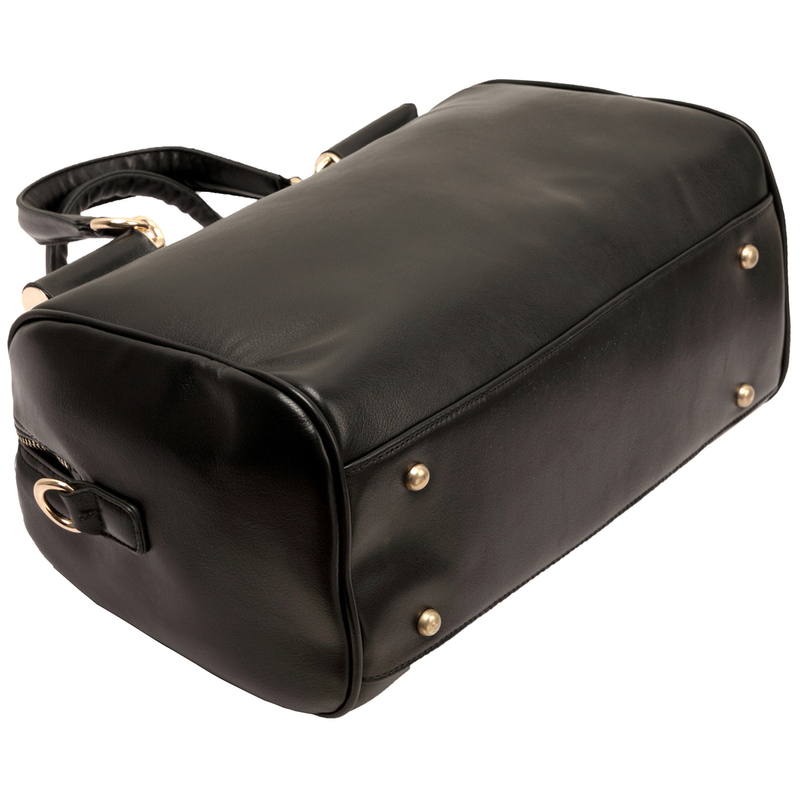 Add both to your daily wardrobe with this sleek black satchel purse. With a timeless doctor style handbag shape and sparkling gold-tone accents, this tote bag practically glows with the kind of old Hollywood glamor that the stars adore. Feel like you're strutting down a red carpet of your own when you carry this fashion hobo bag by the 2 top handles or slip it over a shoulder by the detachable shoulder strap. Even the interior is fit for a star: Just take a peek inside this office tote to find a roomy main zipper compartment with 2 pocket-style organizers, 2 zippered pouches, with one large pocket to hold and organize all your must-have items. An adorable black accessory coin purse is included that complete with gold-tone chain to attach it to your bowling handbag. When you set your top double handle handbag down, the 4 gold-tone studs on the bottom of the day bag help prevent from slipping. Keep this always-stylish shoulder handbag close at hand, and you're sure to feel like a star every day.